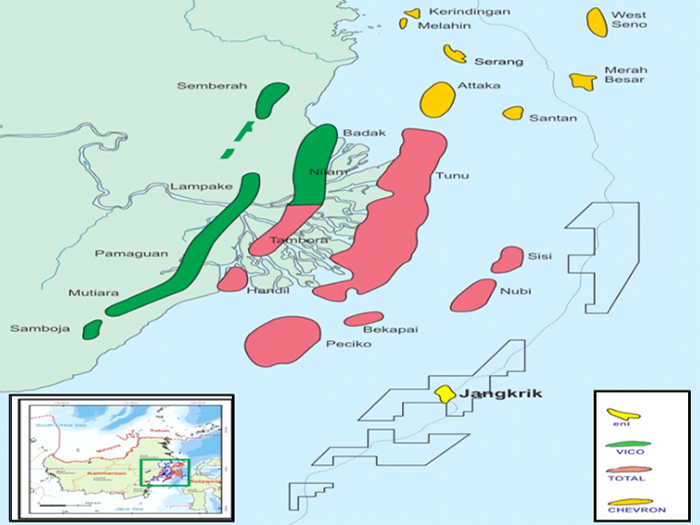 The Jangkrik Complex is located in the Muara Bakau PSC permit area, approximately 70km off the coast of Makassar Strait, Offshore Borneo of Indonesia. Water depths in Jangkrik Complex are ranging from 200 to 500m. The field development is based on a subsea development with seven (7) wells at JKK Main field and four (4) wells at JKNE field, tied back to a spread moored FPU with full treatment facilities.